Rowan Williams, former Archbishop of Canterbury, presents the Gospel accounts of Jesus' crucifixion and resurrection as viewed through the eyes of those who witnessed them. 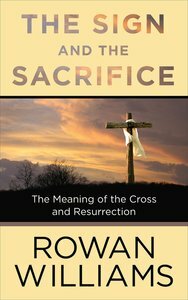 The Sign and the Sacrifice explores the meaning of the cross and the significance of Christ's resurrection, discussing what these events meant to Jesus' followers in the early years and what they can say to us today. About "The Sign and the Sacrifice: The Meaning of the Cross and Resurrection"